Working with my good friends at Super Top Secret we were tasked with showcasing The University of Oregon's already innovative football program in hopes to pique the interests of prospective student-athletes everywhere. The theory from the get-go was simple—stay out of the way, and let the facilities speak for themselves. 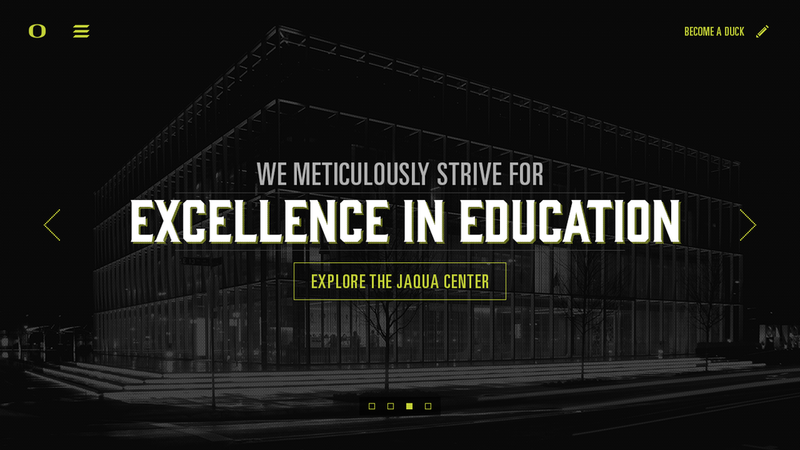 Leveraging a slew of gorgeous photography and video we were able to create immersive spaces solely focused on letting the innovative nature of the Oregon Ducks football program shine through. This was a project that allowed me to wear many proverbial hats. My responsibilities included user experience design ranging from wireframes, moodboards, user persona research, and content strategy, as well as design directions for both browser and mobile versions. I also got to play a small part in direction for the promotional spot, as well as helped with the shot list and overall planning of the site as a whole. A huge hat-tip and firm handshake to my friends at STS. Without them I would not have been able to work on this project, and I'm humbled to have been a part of it. Thanks dudes and lady-dudes. You guys are great. Go! Fight! Win! Ducks! Win! Any and all praise for this video should be given to Super Top Secret. I played a very small role in shot selection and direction, and am humbled and happy to have been a part of it. 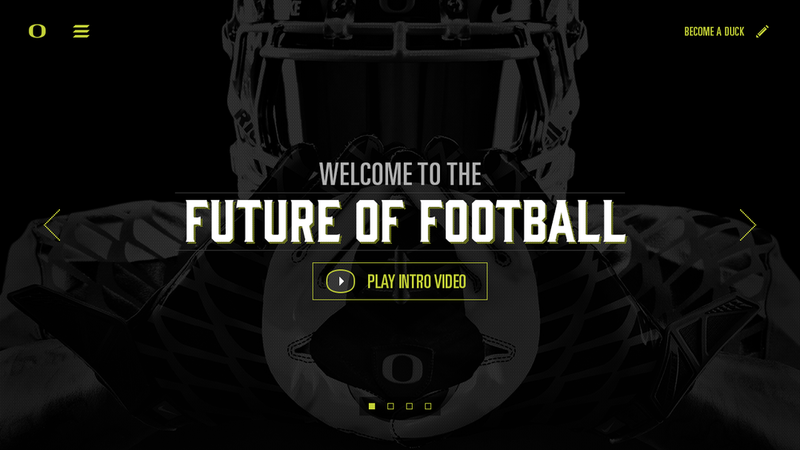 The site originally featured a recruitment questionnaire that interested student-athletes could submit to Oregon, but was ripped shortly before launch. Above are screens that show various states within the flow.